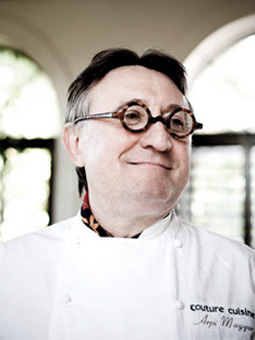 Über-Chef Arpi Magyar comes to Graydon Hall Manor with over 35 years of experience in the kitchen. Within the last 2 decades, Chef Magyar holds the distinction of sitting at the helm of Toronto’s most well-respected kitchens. As the executive chef of Auberge du Pommier and later chef & owner of Splendido, Chef Magyar needs no introduction to “foodies”. Classically trained in Italy, Magyar combines the highest quality ingredients from around the globe with traditional techniques to deliver pure, uncluttered flavours, fashion forward presentation, and a style uniquely his own.